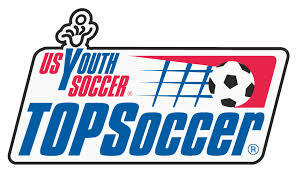 TOPSoccer (The Outreach Program for Soccer) is a community-based training program for young athletes with disabilities. The program is designed to bring the opportunity of learning and playing soccer to any boy or girl who has a mental or physical disability. The emphasis of this program is on development, training, and meaningful participation rather than on competition. A typical session consists of 45 minutes of game-based skill work, followed by 15 minutes of an inter-squad scrimmage. Our goal is to enable young athletes with disabilities to develop their physical fitness, technical skills, courage, and self-esteem, through the joy and excitement of playing soccer. WWPSA is pleased to offer this program locally as a part of our Youth Recreational program for children aged 7-17. Please email TOPSoccer@wwpsa.org with any questions you may have.